Ken Morris Royal LePage Integrity is a well establised, modern real estate brokerage with decades of Award Winning experience. Our Associates all have "mobile offices" to better serve our clients in the city and the greater Calgary, Alberta area. Service areas include: Calgary, Cochrane, Springbank, Bearspaw and the Bragg Creek area. 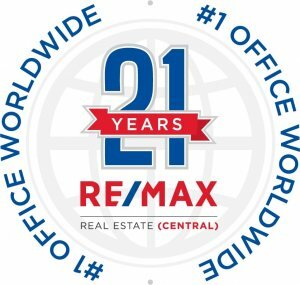 Our Team of highly trained Real Estate Specialists provides an award winning & dedicated service in all areas of Residential, Condominium, Acreage, Farm, Ranch, Commercial, Investment and Property Management services. We are a "Full Service" real estate office with trained Assistants so that you do not have to worry about short cuts or poor service. Ongoing training programs ensure that our clients get the best in service along with the latest in proven systems and technology. All of this is in order to provide the most value for our Client's investment, whether they are buying or selling real estate. We take pride in our commitment to service excellence and our repeat clientele are a strong testament to this fact. In our spare time we also enjoy a strong reputation for community involvement. All of our Sales Professionals are proud to be qualified with the REALTORÂ® Trademark and are members in good standing of the Canadian Real Estate Association, Alberta Real Estate Association and the Calgary Real Estate Board. Cochrane ROYAL LEPAGE INTEGRITY #1 201 Grand Blvd. Cochrane, AB T4C 2G4 will help you find the home of your dreams and work with you to sell your current Cochrane home. Becoming a home owner can be overwhelming as the terms used to describe real estate, negotiating offers and taking the proper steps to ensure a comfortable Cochrane real estate experience is important. Cochrane ROYAL LEPAGE INTEGRITY Real Estate Franchise services to help you find TOP Cochrane real estate agents and LOCAL Industry Experts. Working with licensed Cochrane agents, Cochrane agents, Airdrie agents, Strathmore agents you can expect the fewest problems throughout the selling process of your home or investment property. Ken Morris is not providing a Business Profile Video at this time.